Because you want it done on time and you want it done right! 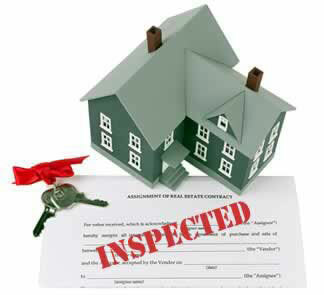 Click Here To Read The Truth About Real Estate Referred Home Inspectors! Call for inspection fee pricing. I am not the cheapest and certainly not the highest. I offer such a detailed inspection, you will witness the many items I inspect that other inspectors completely overlook or deem unimportant. If you are shopping based on the cheapest price alone, the $50 you think you've saved could potentially cost you hundreds of dollars more. Your satisfaction is our goal. Termite inspection - Free termite inspection with complete detailed inspection performed by a state licensed pest control company. * Inspection fees listed may vary based on the type of structure, and whether a complete or partial inspection is requested. "The cost should not be a major factor in the decision whether or not to have the building inspected". An unbiased inspection may be worth many times the fee when revealing the positive and/or negative condition of the building. When choosing an inspection company please always remember, the cost of quality is soon forgotten, while the cost of a cheap choice may linger forever.